Have A Lake County Appraisal Question ? Call Now! 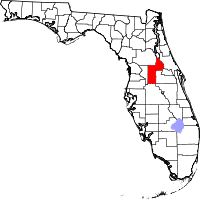 Lake County Florida was created in 1887 from parts of Sumter County, Florida and Orange County, Florida. Lake County is named after the more than 1300 named lakes in the county. The highest point in Lake County is Sugar Loaf Mountain at 312 feet. In Lake County Florida we appraise single family homes, condos, condominiums, vacant land, houses, manufactured homes, mobile homes and modular homes in Central Florida.